Allison Cole brings us a stunning series of acrylic paintings, ranging in size from 8″x8″ to 48″x36″, inspired by her young son who is autistic. Allison is an illustrator and artist who never stops creating. Her bold colors and stunning style capture and transport you instantly to her wonderfully interesting world. 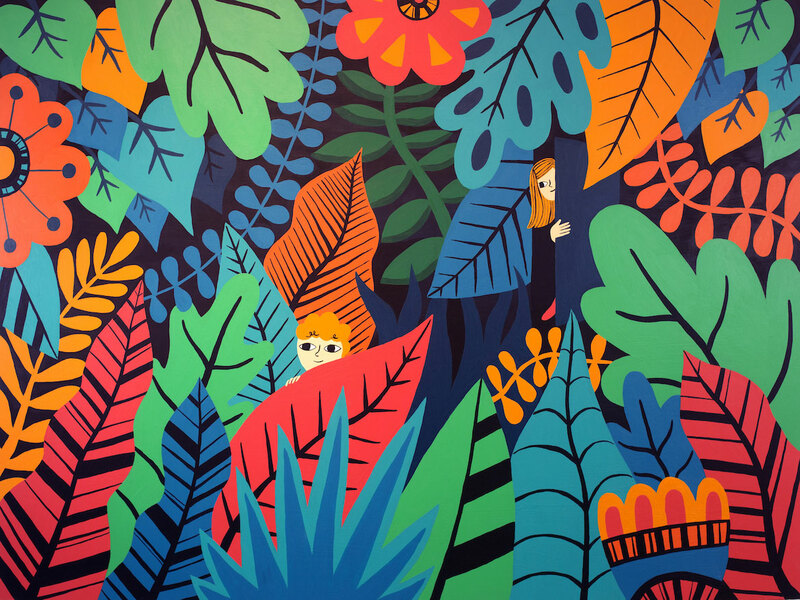 She loves dreaming up characters, scenes, and typography that reflect a playful spirit and bright colors. Over the past fifteen years, Allison has worked with a wide variety of clients that span many different industries, including advertising, editorial, stationery, wall art, giftware, home furnishings, apparel, bolt fabric and book covers. Allison graduated from the Rhode Island School of Design and currently lives in Providence with her husband, son, and two cats.